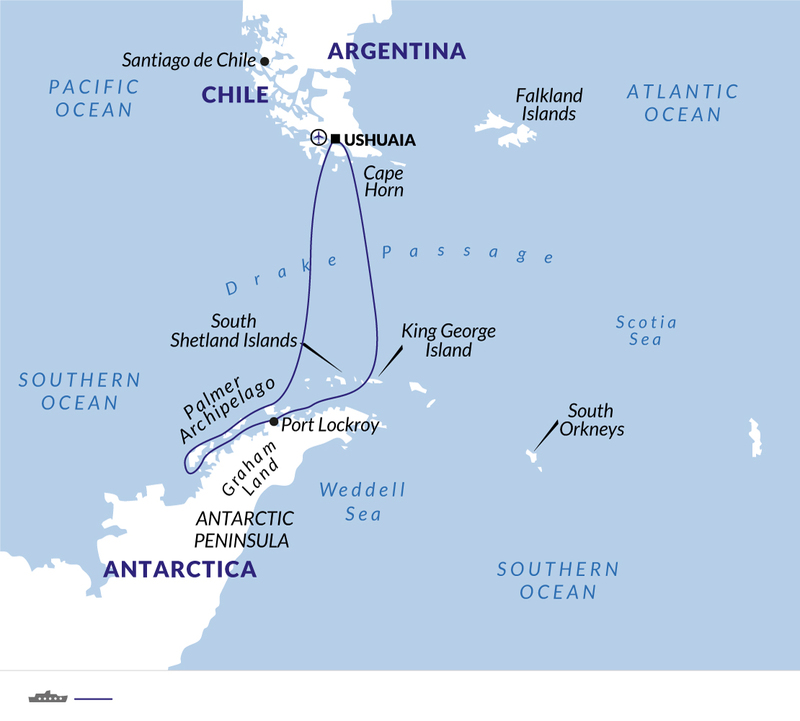 To the South Shetland Isles and Antarctic Peninsula. Kayaking is available as an optional excursion on your Antarctica trip from GBP 859 per person. You must book prior to travel and space is limited - so book early to secure your place! Please speak to one of our polar experts to request availability. Please note, camping is not available on the 1st March departure. At a nimble 105 metres (345 ft) in length, with a capacity to hold 132 guests, the Expedition is an ideal vessel to ply polar waters. The ship is large enough to provide stability, speed, spacious cabins and ample public space, yet she is small enough to manoeuvre in remote areas and get you close to the action. Ship stabilizers ensure a smooth ride in rough waters, such as the infamous Drake Passage, allowing you to enjoy more of your time at sea. A fleet of ten zodiacs allows passengers to get out and actively explore the remote shores of our destinations. The Expedition is a speedy vessel. A top speed of 16 knots means you'll spend less time getting from A to B, and more time to explore your surroundings.